This paper explores the relationship between traumatic ligament laxity of the spine and the resultant instability that may occur. Within, there is a discussion of the various spinal ligamentous structures that may be affected by both macro and micro traumatic events, as well as the neurologic and musculoskeletal effects of instability. There is detailed discussion of the diagnosis, quantification, and documentation as well. It is well known that the major cause of chronic pain due to these injuries is directly related to the laxity of spinal ligamentous structures (Ivancic, et al., 2008). One must fully understand the structure and function of ligaments in order to realize the effects of traumatic ligament laxity. Ligaments are fibrous bands or sheets of connective tissue which link two or more bones, cartilages, or structures together. We know that one or more ligaments provide stability to a joint during rest as well as movement. Excessive movements such as hyper-extension or hyper-flexion, which occur during a traumatic event such as a motor vehicle collision, may be restricted by ligaments, unless these forces are beyond the tensile-strength of these structures; this will be discussed later in this paper. (iliolumbar, sacroiliac, sacrospinus, sacrotuberous), provide stability and some motion. The upper cervical spine has its own ligamentous structures or systems; occipitoatlantal ligament complex, occipitoaxial ligament complex, atlantoaxial ligament complex, and the cruciate ligament complex (Gray’s Anatomy, 40th Edition). The upper cervical ligament system is especially important in stabilizing the upper cervical spine from the skull to C2 (axis) (Stanley Hoppenfeld, 1976). It is important to note, that although the cervical vertebrae are the smallest, the neck has the greatest range of motion. Ligament laxity may happen as a result of a ‘macro trauma”, such as a motor vehicle collision, or may develop overtime as a result of repetitive use injuries, or work-related injuries. The cause of this laxity develops through similar mechanisms, which leads to excessive motion of the facet joints, and will cause various degrees of physical impairment. When ligament laxity develops over time, it is defined as “creep” and refers to the elongation of a ligament under a constant or repetitive stress (Frank CB, 2004). Low-level ligament injuries, or those where the ligaments are simply elongated, represent the vast majority of cases and can potentially incapacitate a patient due to disabling pain, vertigo, tinnitus, etc.. Unfortunately, these types of strains may progress to sub-failure tears of ligament fibers, which will lead to instability at the level of facet joints (Chen HB et al., 2009). Traumatic or repetitive causes of ligament laxity will ultimately produce abnormal motion and function between vertebrae under normal physiological loads, inducing irritation to nerves, possible structural deformation, and/or incapacitating pain. Patients’, who have suffered a motor vehicle collision or perhaps a work-related injury, very often have chronic pain syndromes due to ligament laxity. 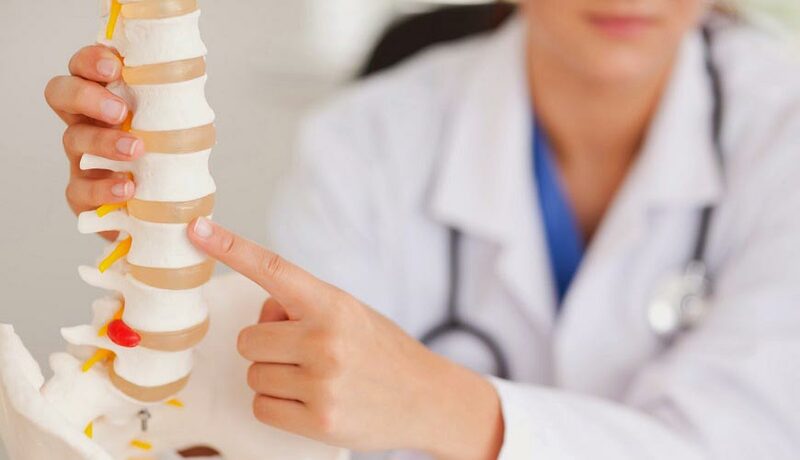 The ligaments surrounding the facet joints of the spinal column, known as capsular ligaments, are highly innervated mechanoreceptive and nociceptive free nerve endings. Therefore, the facet joint is thought of as the primary source of chronic spinal pain (Boswell MV et al., 2007; Barnsley L et al., 1995). When the mechanoreceptors and nociceptors are injured or even simply irritated the overall joint function of the facet joints are altered (McLain RF, 1993). One must realize that instability is not similar to hyper-mobility. Instability, in the clinical context, implies a pathological condition with associated symptomatology, whereas joint hypermobility alone, does not. Ligament laxity which produces instability refers to a loss of “motion stiffness”, so to speak, in a particular spinal segment when a force is applied to this segment, which produces a greater displacement than would be observed in a normal motion segment. When instability is present, pain and muscular spasm can be experienced within the patient’s range of motion and not just at the joint’s end-point. In Chiropractic, we understand that there is a “guarding mechanism”, which is triggered after an injury, which is the muscle spasm. These muscle spasms can cause intense pain and are the body’s response to instability, since the spinal supporting structures, the ligamentous structures, act as sensory organs, which initiate a ligament-muscular reflex. This reflex is a “protective reflex” or “guarding mechanism”, produced by the mechanoreceptors of the joint capsule and these nerve impulses are ultimately transmitted to the muscles. Activation of surrounding musculature, or guarding, will help to maintain or preserve joint stability, either directly by muscles crossing the joint or indirectly by muscles that do not cross the joint, but limit joint motion (Hauser RA et al., 2013). This reflex is fundamental to the understanding of traumatic injuries. This reflex is designed to prevent further injury. However, the continued feedback and reinforcement of pain and muscle spasm, will delay the healing process. The ‘perpetual loop” may continue for a long period of time, making further injury more likely due to muscle contraction. Disrupting this cycle of pain and inflammation is key to resolution. When traumatic ligament laxity produces joint instability, with neurologic compromise, it is understood that the joint has sustained considerable damage to its stabilizing structures, which could include the vertebrae themselves. However, research indicates that joints that are hypermobile demonstrate increased segmental mobility, but are still able to maintain their stability and function normally under physiological loads (Bergmann TF et al., 1993). Clinicians classify instability into 3 categories, mild, moderate, and severe. Severe instability is associated with a catastrophic injury, such as a motor vehicle collision. Mild or moderate clinical instability is usually without neurologic injury and is most commonly due to cumulative micro-trauma, such as those associated with repetitive use injuries; prolonged sitting, standing, flexed postures, etc.. In a motor vehicle collision, up to 10 times more force is absorbed in the capsular ligaments versus the intervertebral disc (Ivancic PC et al., 2007). This is true, because unlike the disc, the facet joint has a much smaller area in which to disperse this force. Ultimately, as previously discussed, the capsular ligaments become elongated, resulting in abnormal motion in the affected spinal segments (Ivancic PC et al., 2007; Tominaga Y et al., 2006). This sequence has been clearly documented with both in vitro and in vivo studies of segmental motion characteristics after torsional loads and resultant disc degeneration (Stokes IA et al., 1987; Veres SP et al., 2010). Injury to the facet joints and capsular ligaments has been further confirmed during simulated whiplash traumas (Winkelstein BA et al., 2000). Maximum ligament strains occur during shear forces, such as when a force is applied while the head is rotated (axial rotation). While capsular ligament injury in the upper cervical spine region can occur from compressive forces alone, exertion from a combination of shear, compression and bending forces is more likely and usually involves much lower loads to causes injury (Siegmund GP et al., 2001). If the head is turned during whiplash trauma, the peak strain on the cervical facet joints and capsular ligaments can increase by 34% (Siegmund GP et al., 2008). One research study reported that during an automobile rear-impact simulation, the magnitude of the joint capsule strain was 47% to 196% higher in instances when the head was rotated 60 degrees during impact compared with those when the head was forward facing (Storvik SG et al., 2011). Head rotation to 60 degrees is similar to an individual turning his/her head to one side while checking for on-coming traffic and suddenly experiences a rear-end collision. The impact was greatest in the ipsilateral facet joints, such that head rotation to the left caused higher ligament strain at the left facet joint capsule. Other research has illustrated that motor vehicle collision trauma has been shown to reduce ligament strength (i.e., failure force and average energy absorption capacity) compared with controls or computational models (Ivancic PC et al., 2007; Tominaga Y et al., 2006). We know that this is particularly true in the case of capsular ligaments, since this type of trauma causes capsular ligament laxity. Interestingly, one research study conclusively demonstrated that whiplash injury to the capsular ligaments resulted in an 85% to 275% increase in ligament elongation (laxity), compared to that of controls (Ivancic PC et al., 2007). The study also reported evidence that tension of the capsular ligaments due to trauma, requisite for producing pain from the facet joint. Whiplash injuries cause compression injuries to the posterior facet cartilage. This injury also results in trauma to the synovial folds, bleeding, inflammation, and of course pain. Simply stated, this stretching injury to the facet capsular ligaments will result in joint laxity and instability. Traumatic ligament laxity resulting in instability is a diagnosis based primarily on a patient’s history (symptoms) and physical examination. Subjective findings are the patient’s complaints in their own words, or their perception of pain, sensory changes, motor changes, or range of motion alterations. After the patient presents their subjective complaints to the clinician, these subjective findings, must be correlated and confirmed through a proper and thorough physical examination, including the utilization of imaging diagnostics that explain a particular symptom, pattern, or area of complaint objectively. Without some sort of concrete evidence that explains a patient’s condition, we merely have symptoms with no forensic evidence. Documentation is key, as well as quantifying the patient’s injuries objectively. In order to adequately quantify the presence of instability due to ligament laxity, the clinician could utilize functional computerized tomography, functional magnetic resonance imaging scans, as well as digital motion x-ray (Radcliff K et al., 2012; Hino H et al., 1999). Studies using functional CT for diagnosing ligamentous injuries have demonstrated the ability of this technique to shoe excess movement during axial rotation of the cervical spine (Dvorak J et al., 1988; Antinnes J et al., 1994). This is important to realize when patients have the signs and symptoms of instability, but have normal MRI findings in the neutral position. Functional imaging technology, as opposed to static standard films, is necessary for the adequate radiologic depiction of instability because they provide dynamic imaging during movement and are extremely helpful for evaluating the presence and degree of instability. Although functional imaging maybe superior plain-film radiography is still a powerful diagnostic tool for the evaluation of instability due to ligament laxity. When a patient presents status-post motor vehicle collision, it is common practice to perform a “Davis Series” of the cervical spine. This x-ray series consists of 7 views: anterior-posterior open mouth, anterior-posterior, lateral, oblique views, and flexion-extension views. The lumbar spine is treated in similar fashion. X-ray views will include: anterior-posterior, lateral, oblique views, and flexion-extension views. The flexion-extension views are key in the diagnosis of instability. It is well known, that the dominant motion of the cervical and lumbar spine, where most pathological changes occur, is flexion-extension. Translation of one vertebral segment in relation to the one above and/or below will be most evident on these views. Translation is the total anterior-posterior movement of vertebral segments. After the appropriate views are taken, the images may be evaluated utilizing CRMA or Computed Radiographic Mensuration Analysis. These measurements are taken to determine the presence of ligament laxity. In the cervical spine, a 3.5mm or greater translation of one vertebra on another is an abnormal and ratable finding, indicative of instability (AMA Guides to the Evaluation of Permanent Impairment, 6th Edition). Alteration of Motion Segment Integrity (AOMSI) is extremely crucial as it relates to ligament laxity. The AMA Guides to the Evaluation of Permanent Impairment 6th Edition, recognize linear stress views of radiographs, as the best form of diagnosing George’s Line (Yochum & Rowe’s Essentials of Radiology, page 149), which states that if there is a break in George’s Line on a radiograph, this could be a radiographic sign of instability due to ligament laxity. Our discussion of ligament laxity and instability continues with the “Criteria for Rating Impairment Due to Cervical and Lumbar Disorders”, as described in the AMA Guides to the Evaluation of Permanent Impairment, 6th Edition. According to the guidelines, a DRE (Diagnosed Related Estimate) Cervical Category IV is considered to be a 25% to 28% impairment of the whole person. Category IV is described as, “alteration of motion segment integrity or bilateral or multilevel radiculopathy; alteration of motion segment integrity is defined from flexion and extension radiographs, as at least 3.5mm of translation of one vertebra on another, or angular motion of more than 11 degrees greater than at each adjacent level; alternatively, the individual may have loss of motion of a motion segment due to a developmental fusion or successful or unsuccessful attempt at surgical arthrodesis; radiculopathy as defined in Cervical Category III need not be present if there is alteration of motion segment integrity; or fractures: (1) more than 50% compression of one vertebral body without residual neural compromise. One can compare a 25% to 28% cervical impairment of the whole person to the 22% to 23% whole person impairment due to an amputation at the level of the thumb at or near the carpometacarpal joint or the distal third of the first metacarpal. Additionally, according to the guidelines, a DRE (Diagnosed Related Estimate) Lumbar Category IV is considered to be a 20% to 23% impairment of the whole person. Category IV is described as, “loss of motion segment integrity defined from flexion and extension radiographs as at least 4.5mm of translation of one vertebra on another or angular motion greater than 15 degrees at L1-2, L2-3, and L3-4, greater than 20 degrees at L4-5, and greater than 25 degrees at L5-S1; may have complete or near complete loss of motion of a motion segment due to developmental fusion, or successful or unsuccessful attempt at surgical arthrodesis or fractures: (1) greater than 50% compression of one vertebral body without residual neurologic compromise. One can compare a 20% to 23% Lumbar Impairment of the whole person to the 20% whole person impairment due to an amputation of the first metatarsal bone. After careful interpretation of the AMA Guides to the Evaluation of Permanent Impairment, 6th Edition, regarding whole person impairment due to ligament laxity/instability of the cervical and lumbar spine, one can certainly see the severity and degree of disability that occurs. Once ligament laxity is correctly diagnosed, it will objectively quantify a patient’s spinal injury regardless of symptoms, disc lesions, range of motion, reflexes, etc. When we quantify the presence of ligament laxity, we also provide a crucial element with which to demonstrate instabilities in a specific region. Overall, clarification and quantification of traumatic ligament laxity will help the patient legally, objectively, and most importantly, clinically. spine. European Spine Journal, 98-101.
joint pain after whiplash. Spine, 20, 20-25. 3rd edition. New York: Mobby Inc.
road traffic accidents: A modern epidemic. Injury, 24(3), 155-157. Gray, H. (2008). Gray’s anatomy. London: Churchill Livingstone/Elsevier. cervical ligaments. Spine Journal, 7(6), 659-665. Increased laxity of cervical capsular ligament. Clinical Biomechanics (Bristol Avon). Kleinberger, M. (2000). Frontiers in whiplash trauma. Amsterdam: ISO Press. cervical facet capsule injury during whiplash. Spine, 33(15), 1643-1649.
combined shear, compression, and extension loading. Spine, 26(19), 2095-2101. Stokes, I.A., & Frymoyer, J.W. (1987). Segmental motion and instability. Spine, 7, 688-691.
strains in automotive rear impact. Medical Bioengineeering Comput., 49(2), 153-161.
whiplash trauma. BMC Musculoskeletal Disorders, 7, 103.
when combined with flexion. European Spine Journal, 19, 1468-1478.